Thank God It Is Friday, 15 July 2016! This Friday morning, I woke up suddenly, when I found a Christian friend calling me after midnight. The Christian friend tapped me while I was sleeping. The big smile showed that finding me was a big reward. I was half asleep when I sensed another Christian person around me. Acknowledging the Christian presence, I thanked God or shall we say, Jehovah! Still in a Cuban dream, in my sleeping mind, my spirit had already returned to my body to acknowledge the Christian presence in front of me. I was looking at the Christian friend in front of me, who found me after midnight, early morning, on July 15, 2016. Having recognized my face, the Christian friend was pleased and walked past me on the way back from whence it came. I must be “dreaming in Cuban”. Then, I got up, walked around to wake up fully, and found a white plastic bag with Korean “kimchi” food inside, as well as two (2) pancakes wrapped in plastic and more Asian chop suey. The Christian friend had brought me Korean Asian food and left it behind after walking away in a dream after midnight. Thank God It Is Friday, July 15, 2016! Four (4) months ago, I virtually befriended, Brian Nicholas Campbell, a special person in Facebook who invited me to have morning Coffee during our Chat session. My virtual friend invited me to have a cup of coffee early morning. So, I agreed to have a cup of coffee during our virtual Chat to get to know each other better on Facebook Messenger. That is the way in which our Facebook relationship began between my virtual friend, Brian Nicholas Campbell and me. This Facebook relationship is based upon Messenger communication between the two of us–where Brian Nicholas Campbell, my virtual friend, stipulated that it would be private. Friday is always a special day for me and God is miraculous. This morning I was standing by the CTA bus stop, waiting, when I a tall white man wearing a cap walked up to me and gave me some money to have breakfast today. I was surprised and said, “Thank You,” while the white man walked away quickly. Thank God It Is Friday! I really needed help this morning to have something to eat. I have not been eating regular meals, only when I can get some help. I do not have any money since my brother Robert S. Hung returned from our Family Reunion in Santiago de Cuba, on Friday, 29 April 2016. Robert S. Hung locked me out of our apartment at 1060 West Hollywood Avenue #313 in Chicago, Illinois 60660 USA. I have been displaced for the last three (3) months in the historic Bryn Mawr District, Edgewater neighborhood, North Chicago by Lake Michigan in Illinois. 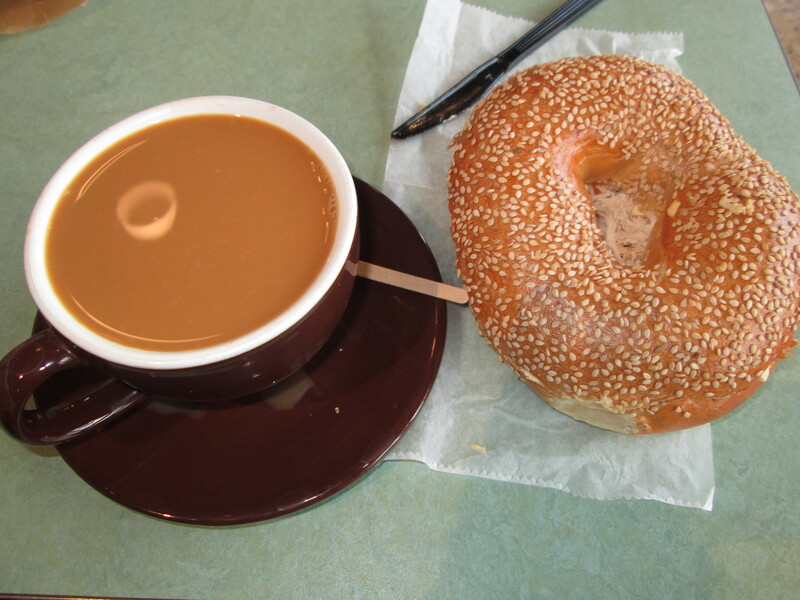 Today I walked to the Coffee Shop and got a cup of American coffee with cream and sugar, for breakfast with a New York Sesame Seed Bagel. This Friday morning, I remembered my virtual Facebook friend and our first Coffee Chat. Two days ago, I found a digital photo of my estranged spouse Nathan Scott Wittler Patriquin in my Facebook Messenger gallery. How did I get a recent digital photo of Nate in time for his 58th birthday anniversary on Friday, July 15, 2016? I have already posted Nate’s digital photo on the world wide web to wish him a Happy 58th Birthday Anniversary in the year 2016. During a Messenger virtual chat, Brian Nicholas Campbell, my Facebook friend, posted a digital photo of Nathan Scott Wittler Patriquin, among other photos, to my surprise! It is amazing how my virtual friend gets to know my estranged spouse Nathan Scott. I have not seen Nate since July 2001, fifteen (15) years ago, when he drove off to the east coast of New England with his youngest sister Heather, his brother-in-law John and daughter Brianna in their pick-up truck, from the Village of Lombard in District 5, York Township, Du Page County, Illinois USA. I have been “separated” from Nate for the last 15 years. Nate is now living in the Edgewater neighborhood by Lake Michigan in Chicago, Ilinois USA. Happy 58th Birthday Anniversary, Nate! However, Brian Nicholas Campbell, my virtual friend has telephoned Nathan Scott to introduce himself and get to know him, as my estranged spouse, since they are both from New York, New York. They both know that I am still displaced in the Edgewater district, in need of human comforts like food, lodging, clothing, household amenities, and sanitary facilities. In addition, they are well aware that my youngest brother Robert S. Hung is not providing any cash money or food to help me during the displacement period in the historic Bryn Mawr district. After our Family Reunion in Santiago de Cuba on April 2016, my youngest brother Robert S. Hung, has removed me from the Hollywood building and set me up to be on the streets of Chicago without any money, food, and/or lodging accommodations or bathroom facilities. While I was sipping my morning Coffee, I was thinking about Brian Nicholas Campbell, my virtual Facebook friend, my estranged spouse’s 58th birthday, and my predicament over displacement in the Edgewater neighborhood during the summer of 2016. Thank You for remembering our first virtual Coffee Chat on Messenger, Brian, my friend. Virtually, your thoughts come to mind, even in the Edgewater neighborhood, “whether near to me, or far. It’s no matter “darling” where you are…” I am grateful for the digital photo of Nathan Scott you posted on Messenger, especially since today is Nate’s birthday and I have not seen him, met him, or called him in the last fifteen (15) years. On Friday, July 15th, Nate is probably surprised by the accolade of his birthday celebration, world-wide, and the numerous phone calls, the presents, the attention, and most of all, the out-of-town visitors who have come far and wide to greet him and wish Nathan Scott, A Happy Birthday Anniversary In 2016! New York could not be prouder of Nathan Scott since he lived in the urban jungle of the Big Apple where he went to school in Harlem, New York. While his parents Reverend Melvin A. Wittler and Mrs. Nancy Wittler Patriquin were Christian missionaries on furlough for the World Council of Churches in New York, the children attended public school in Harlem. Nate always talks about his early life in the mean streets of New York, USA. Nathan Scott Wittler Patriquin is always in a New York state-of-mind, even when he actually lives in the Land of Lincoln, Illinois. From one New Yorker to another, Brian Nicholas Campbell, my virtual friend being one, and Nate, being the other, they have both become acquainted by getting to know me better in the year 2016, since they share common interests and friends as Christian missionaries. It is amazing how my life has made a full turn around to find similar people from New York, once again. Somehow, I always meet Christian missionary friends and their families from the World Council of Churches and missions around Africa. How come Nathan Scott never talks to me, does not telephone me, reach out to me as his estranged spouse or even invite me to a meal, when he knows that I am in need of nourishment and home comfort? How I wish Nathan Scott would invite me to his 58th Birthday Anniversary Celebration Breakfast, Luncheon, and Dinner Party? I am near enough his building condominium in the Edgewater neighborhood, Chicago, Illinois USA. My virtual friend, Brian Nicholas Campbell, may well be the peace maker as a Christian missionary, God Bless His Soul!